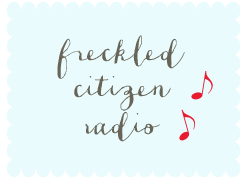 Freckled Citizen: Squawking with glee! Something about this week (perhaps my extra-tough-but-ultimately-rewarding last week?) has me just biding time until the weekend. So getting some fun news in the middle of such a week is a delight. Enter The Squawker, the Best of Texas blog, which just named my little online abode here Blog of the Month! Thank you thank you thank you!! Confession time and long story that has a point: I'm a non-tv girl compared with the average American, but still have my weaknesses (I give in to Rachel Maddow - but not on a daily basis; I love food-based shows - but rarely watch The Food Network; and enjoy smart, well-written scripted television (which includes, obviously, "Mad Men," and yes, I do qualify "True Blood" as being smart). This is a long way of saying that one Friday night when I was recovering from a particularly atrocious week and counting the minutes until I could justify passing out to make Saturday hurry up and happen, I stumbled upon an Unfair Park piece talking about a local girl who was the subject of "What Not to Wear." I probably hadn't turned on TLC since college and definitely wouldn't list makeover shows as a weakness, but I also remembered the show's dangerous, tv-suckage appeal and likable hosts (Stacy and Clinton are no Trinny and Susannah, but they're not bad, either). The local angle had me hooked. Also, the episode started in ten minutes. Over the course of the next hour, I was charmed all over by Dallas girl Amanda, who handled Stacy, Clinton, and the horrifying 360-degree mirror with aplomb, and looked rocking at the end of the show, in a style that was completely her own, fashioned by taking the show's advice and translating it into a vintage '40s vibe with cinched-waist dresses and hot shoes (I believe in those two things, after all). AND she redid her hair to a style much cuter than the one Nick gave her, so major props for that. When she's not being made over and starring on national television, Amanda is the editor-in-chief of The Best of Texas' Squawker blog, which I found during the show and immediately added to my Reader. Not surprisingly, the blog is as charming as its editor. When I started The Freckled Citizen, I added The Squawker as an official Freckled Crush, and by that time had kind of forgotten how I'd found it in the first place. Until now. So that's the story of how I found a crush-worthy blog and started leaving comments, and how that blog found me. Another victory for blog world. The Squawker proving its place as a Freckled Crush: an alert that CakeWrecks is coming to Texas! Awwwww... It's funny, I'd had no idea how you'd found me until I read this post today. 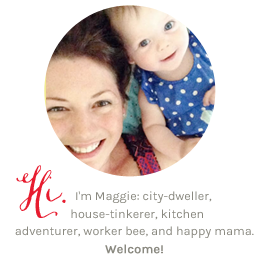 I just knew you as an incredibly gifted, funny gal who would pay me a Comments vist from time to time and subsequently, I fell in love with both Freckled and the wedding blog. I'm glad you liked the show, though. I can assure you it was an...experience. Albeit one I'll be eternally grateful for. You had me at BACON ICE CREAM. Actually, you had me before with the vodka tomatoes comment, but I forgot to write back. In other words, YES!